Videos are the most powerful tools to convey a message and to express feelings. Not everyone has the technical knowledge to make professional looking videos. RenderForest is the right place to make smart videos. RenderForest is a free video making software that offers productions services. Using the software tools, it is possible to create professional quality intros, slideshows and presentations. Startups and small businesses can make explainer videos with the tools available. RenderForest is a video maker with rich features. The users can make use of the great tools that are available. Let us now know about the full list of features. • RenderForest offers layout templates in different categories such as Flipping Slideshow, Company introduction, App Promotion and Animated Video Clips. The users can find predesigned templates. • The software also offers many options for typography also such as Brush Typography and Wrap Typography etc. • Valentine day’s video care, wedding videos are some of the personal video templates. New templates are also added frequently. • The videos rendered through the software are compatible with laptop, smartphones, tablets and desktop. It is possible to give best viewing experience to the viewer wherever they are watching the video. • The editing interface of Renderforest software is the easiest one. No, IT help is needed to customize the color scheme and for other customization. • It is possible to add voice-overs and music to the video to make it more presentable. • Voice over feature is very essential for explainer videos. The registration process to use the Renderforest video making software online is very simple. The software will ask the basic information such as name and e-mail address and no other debit or credit card details will be asked. Only three steps are needed to create a register to the website and start creating the video. The first step to reach the editing interface is to select the template on Renderforest. Choose the template of your choice and then upload the photographs that you want to include in the video. Use the editing tools available to add text, voice over or change the colors. The editing tools are very simple and can be used even by those who are completely novice in video making. After getting satisfaction with texts, music and picture just click and the high-quality video is ready to be used for business presentation etc. The video can be used in email marketing also. RenderForest software is a free video making software which offers free video production services. 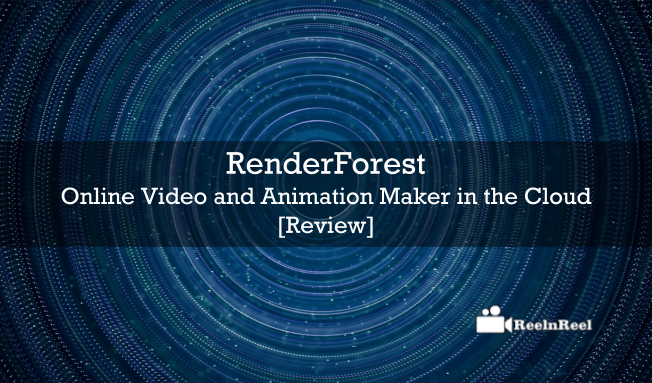 This is an Ultimate guide to the user who would love to use RenderForest to make Online videos and Animation Maker.